You are here: Home / Archived Content / FRANKENWEENIE opens in Theaters today! A stop-motion animated film, “Frankenweenie” was filmed in black and white and rendered in 3D. The talented voice cast includes: Catherine O’Hara, Martin Short, Martin Landau, Charlie Tahan, Atticus Shaffer, Robert Capron, Conchata Ferrell and Winona Ryder. 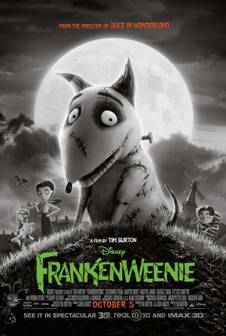 Presented by Disney, “Frankenweenie” is directed by Tim Burton, produced by Tim Burton and Allison Abbate, from a screenplay by John August, based on a screenplay by Lenny Ripps, based on an original idea by Tim Burton. 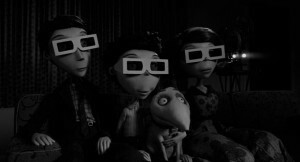 “Frankenweenie” releases in U.S. theaters on October 5, 2012.